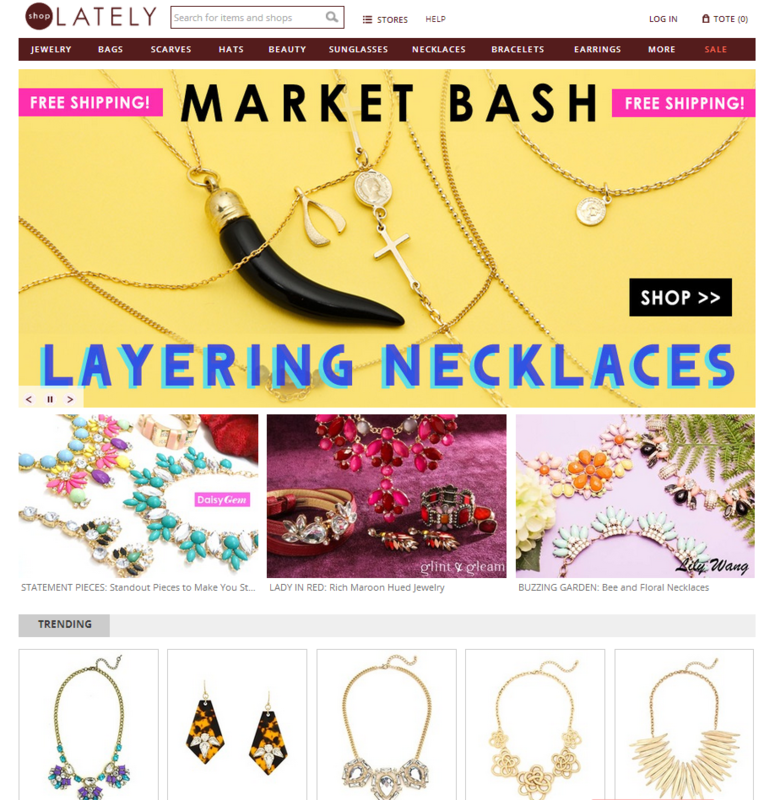 ShopLately is a fashion first marketplace that combines the proven power of flash sales with the accessibility and selection of an open marketplace. We provide designers and small boutique owners with a purpose built patform to sell their fashion forward merchadise to equally fashion forward consumers. Engaging: ShopLately's front page is designed to be eye catching like the front window of a department store. Curated: ShopLately's front page features promoted flash sale events and the most popular items across all merchants on the site. 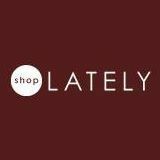 Customizable: Each ShopLately merchant can set up a dedicated store front on the ShopLately platform. Consistent Experience: The customer's experience is much more akin to shopping at a department store than it is to jumping from one stand alone merchant to the next. Easy Setup: The guided setup process makes establishing a ShopLately store front a snap. Detailed Reporting: Reports on orders, inventory, and sale events are all accessible from the dashboard. Central store management: Everything a merchant needs to manage their business is 1 click away from the dashboard. There are several platforms which allow fashion designers and boutique owners to list their merchandise for sale but ShopLately provides a number of advantages over its competitors. 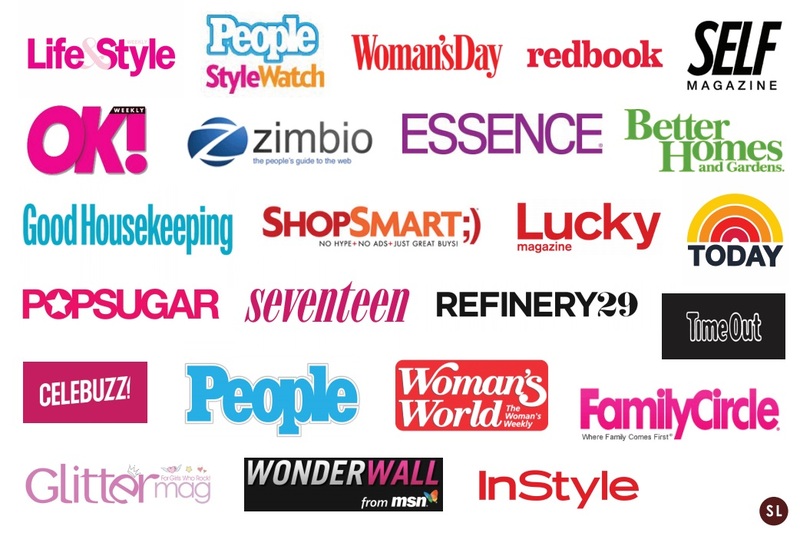 Active Marketing: ShopLately actively markets its merchant's products and brands through social media, homepage placements, email marketing, flash sales events, public relations campaigns and our fashion blogger network consisting of more than 90 highly respected fashion bloggers. Friendly Fee Structure: ShopLately charges no listing or maintanence fees. We make money only when our merchants do. Fashion First: ShopLately was designed with fashion merchandising in mind. Fashion accessories simply look better in our marketplace than they do on most other sites. Easy to Use: ShopLately's merchants confirm that our platform is one of the easiest to setup. Its a simple formula, Trendy accessories + great prices = attainable fashion. Many flash sales and social shopping site attract only window shoppers. ShopLately strikes the balance between items that are cool but seem unattainable (or unwearable) and items that customers are actually looking to buy. Who does ShopLately work with? While we strictly maintain high quality standards, if a merchant doesn't make it into our program with their initial application, our markeplace and fashion experts provide coaching so that applicants can ultimately join ShopLately. ShopLately has been around for a couple years, how are you doing? Thanks for asking! 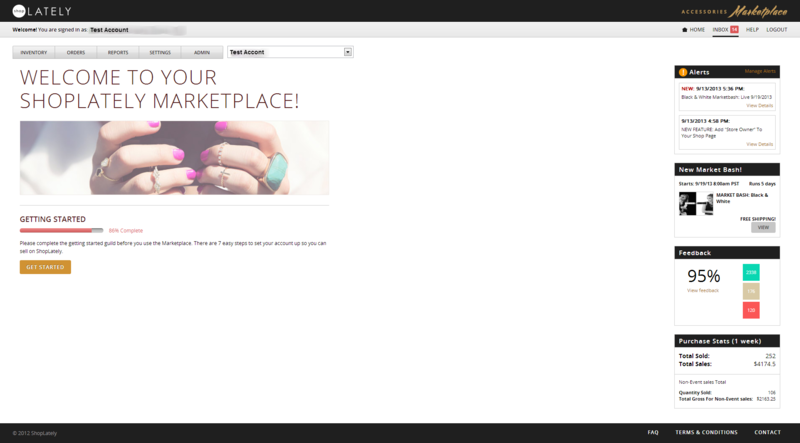 Building a fashion marketplace is hard work but so far things are going swimingly! *We are onboarding new merchants in an intentinally slow and deliberative manner in order to maintain an exceptional customer and merchant experience. 85% of ShopLately traffic results from customers who are specifially looking for ShopLately. Shoplately's typical customer makes 2-3 purchases per year. Once we get a fashion forward shopper on our site, they keep coming back for more! We have it and its growing! How does ShopLately intend to accelerate growth? Adding shoes and apparal will broaden our market by 800%. ShopLately currently focuses purely on women's fashion accessories. In 2013-2014 we intend to add apparel and shoes to the marketplace. The apparal and shoe market is approximately 800% larger than the size of the fashion accessories market. We believe that not only will this expansion of our program meet pent up demand from our current user base but that it will expand our reach into new users. Shoes and apparel can increase average order value substantially. While ShopLately's average order value has grown steadily each year, we project that the addition of apparel and shoes to the marketplace can ultimately increase our average order value by 3X or more. How big is ShopLately's market? While the fashion industry is likely to remain somewhat fractured given the broad range of consumer taste and the difficulty in a single marketplace serving all of those tastes, the market is sufficiently massive for several dominant marketplaces to carve out substantial businesses. Where have ShopLately's products and merchants been featured? Jake is an entrepreneur, amateur futurist, and an attorney. His articles have appeared in both WIRED and in peer reviewed journals. While VP of Strategy for Sazze he co-founded ProGrids where he is now building Google's most dangerous competitor. Kiha Lee is the founder and CEO of Sazze, which is the parent to several successful e-commerce companies, including the fashion marketplace ShopLately, and the social savings site, Dealspl.us. ShopLately welcomes designers and small boutique owners to create their own store pages on the ShopLately platform. These store pages and any promotions that ShopLately faciliatates are entirely free, merchants pay a commission on every sale that is transacted through the ShopLately platform. ShopLately's merchant platform is easy for merchants to use, making it possible to establish an online storefront in minutes. While easy to use, the platform is also capable of providing robust reports to merchants. Additionally, ShopLately employs fashion experts who actively monitor trends and engage with its merchants to ensure that the best items are featured and to prepare merchants for upcoming seasons. This means that ShopLately's merchants are more likely to be successful and its customers are more likely to walk away satisfied.